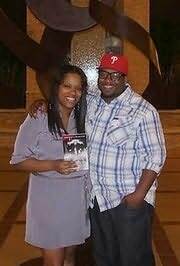 Ashley Antoinette Snell writes as Ashley Antoinette and (with JaQuavis Coleman) as "Ashley & JaQuavis". Born in Flint, Michigan, Ashley Antoinette Snell and JaQuavis Coleman have survived the tumultuous streets finding their way to literary fame. At only 20 and 21, both Ashley and JaQuavis are in their third year of college balancing a full class load along with a demanding writing schedule, but love every bit of it.